The Town of Antigonish Recreation Department employs maintenance staff from mid-April until November 1st each year. These staff are responsible for maintenance of our fields, parks, paths, tennis courts, and mowing of public streets. Please note: Fields, parks, paths, and tennis courts are not maintained during the winter months. 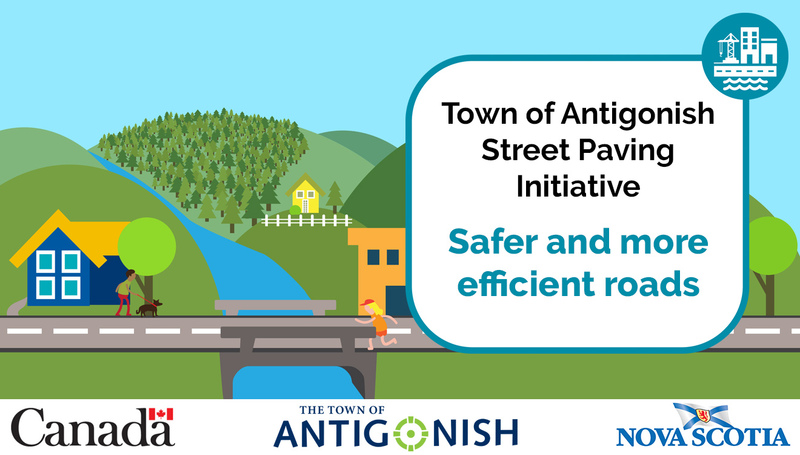 Each year, the Town of Antigonish undertakes regular maintenance on its streets and sidewalks, which includes paving and patching, centre line painting, and crosswalk painting. Following a snowfall, first priority is given to major arterial streets used by emergency responders. Once these streets have been cleared, crews qill move toward cleaning subdivision areas. Areas services by sidewalks on both sides of the street can expect at least one side of the walk clearned. Following a major snow fall, the Town’s number one priority is to make the main thoroughfares passable for emergency access vehicles. Accordingly, our efforts are focused on the arterial streets such as Main St., Church St., West St., and Hawthorne St., followed by collector streets such as Highland Dr., Braemore Ave., Brookland St., and Xavier Dr. Once snow clearing on these roads is reasonably complete, our focus shifts to subdivision areas and road widening in an effort to improve driving conditions through the Town. Sidewalks are generally cleared after street clearing activity has commenced. Similar to our street clearing work, sidewalks are cleared according to a routing schedule, with priority being given to sidewalks which bring children to and from school. Moreover, when extreme conditions prevail, one sidewalk per street will be cleared before the second sidewalk is opened. For information regarding maintenance to streets, sidewalks, and public property, please contact the Department of Public Works.